We’ve been providing hands-on animal handling encounter for years within schools and nurseries. You could say that we know what we’re doing. 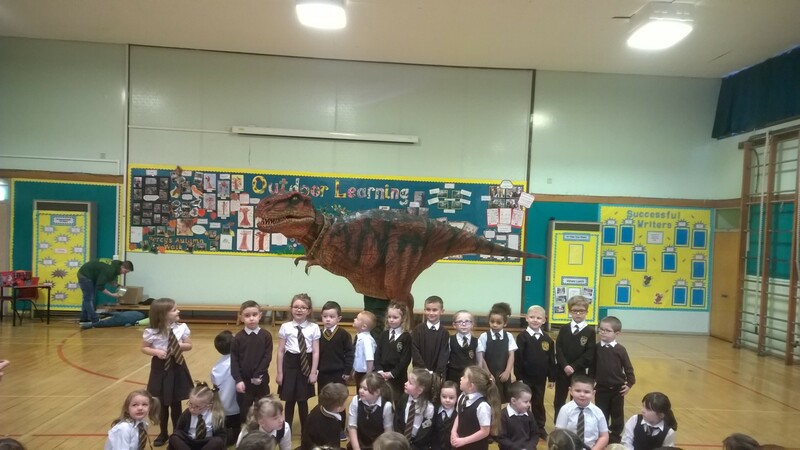 That’s why we’ve launched our T-Rex educational presentations, which tie in with the curriculum for excellence. And this allows us to expand on class course work and achieve additional learning outcomes that don’t usually happen in the school environment. 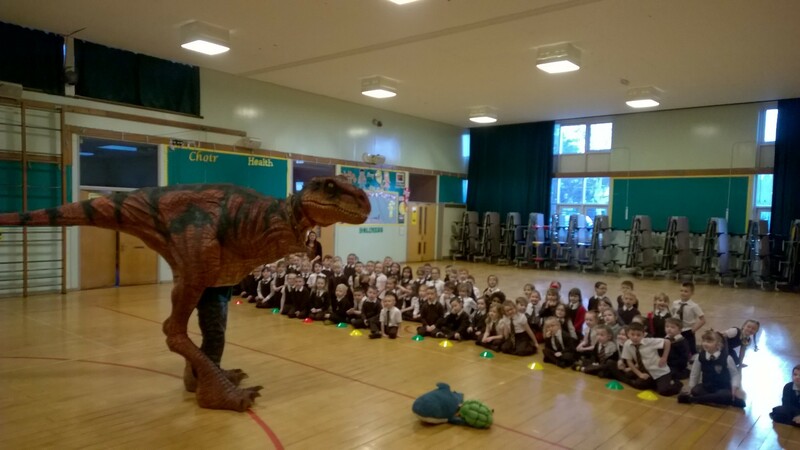 Our animatronic T-Rex will give your class an idea of the size, the stance and the structure of these magnificent prehistoric beasts. It’s as close as you can get to the real thing. 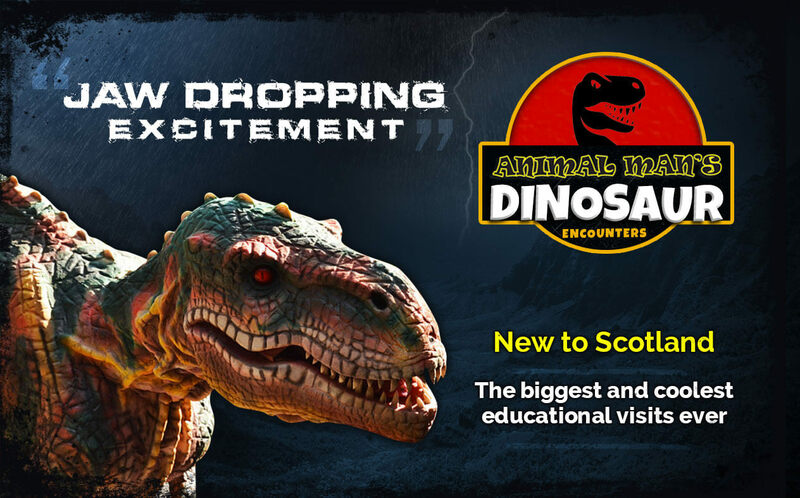 Our trained puppeteers are all well versed in the movement of these beasts and their smaller traits, as well as vocal range, which adds to a more realistic experience. Our nursery visits are a little more light-hearted. 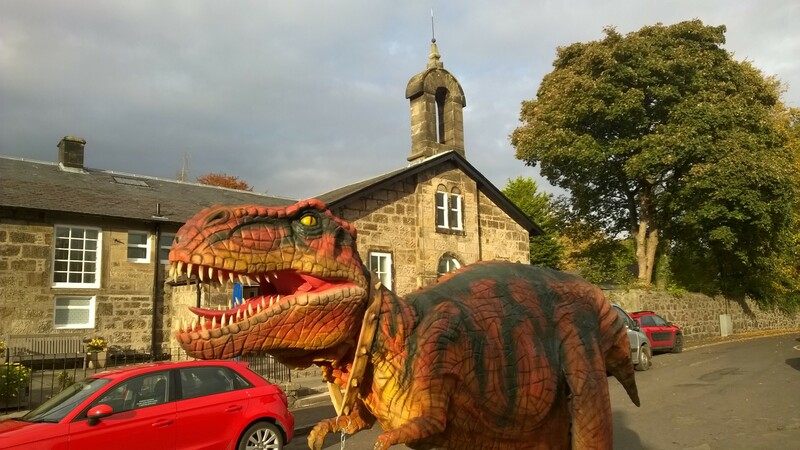 Our friendlier T-Rex can be stroked and cuddled and fed slabs or real meat (foam), as well as having roaring competitions and some fun games, too.